The capabilities and opportunities the Internet provides have caused transformation in many business activities, increasing the speed and ease for conducting transactions while also lowering many of the costs. As a consequence, the national economy and welfare have grown critically dependent on the cyber network infrastructure. In a digital world, information access is expected anytime and from anywhere, but this accessibility can create vulnerabilities that threaten the security of the information and leave organizations open to various forms of malicious attack. Thus the increased use of automated attack tools by cybercriminals has overwhelmed some current methodologies used for tracking cyber attacks and vulnerabilities. 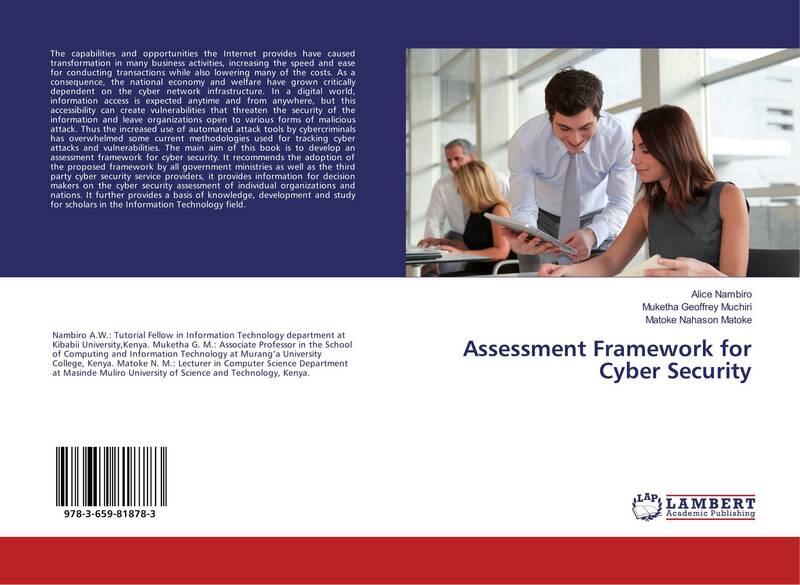 The main aim of this book is to develop an assessment framework for cyber security. It recommends the adoption of the proposed framework by all government ministries as well as the third party cyber security service providers, it provides information for decision makers on the cyber security assessment of individual organizations and nations. It further provides a basis of knowledge, development and study for scholars in the Information Technology field.